Despite leading the NL with a team ERA of 2.95, the last time anyone finished the season with a team ERA below 3.00, the Dodgers, one season after shocking the world, would finish in 4th place 14 games behind the Giants. So anemic was the offense that Orel Hershiser, despite winning 15 games with an ERA of 2.31, would also lose 15 as well , finishing the season with a .500 mark. Even without Orel Hershiser for much of the season due to shoulder surgery and an injury plagued Kirk Gibson a mere cry from his 1988 season, the Dodgers would finish 5 games behind the eventual World Champion Cincinatti Reds. This would also be the last season for Fernando Valenzuela in a Dodger uniform, as he would be released prior to the 1991 season. Hometown product Darryl Strawberry, who put up big numbers in his eight stormy seasons with the New York Mets, would be signed in the off-season for a then whopping 5 years, $20.25 million dollars. After a slow start, Strawberry would lead the team in both home runs (27) and RBI’s (100) In spite of a strong 20-8 finish to the season, the Dodgers would finish 1 game behind the upstart Atlanta Braves for the NL West crown. In the first year of 3 division aligment, the Dodgers would finish in 1st place, and yes, that is an asterisk next to the feat, if one can consider being 2 games over .500 one. That is because in August, a bitter labor dispute between the players and owners would lead to the cancelation of the remainder of the 1994 season and wipe out post-season and World Series play altogether. Raul Mondesi would win the 3rd of 5 consecutive Dodger Rookie of the Year Awards. Darryl Strawberry, with his countless off the field problems during his time in L.A, would be released prior to the season. 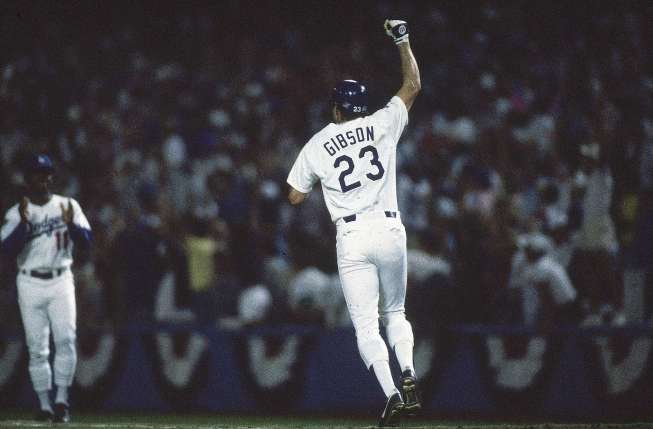 One year after the strike had put a black eye on Major League Baseball, in a 144 game season due to the previous season’s strike that carried over into 1995, the Dodgers would capture the NL West by one game over the Colorado Rockies 3 years into their existence. Hideo Nomo, The Tornadoe, would win the NL Rookie of the Year. In the first official League Division Series, not counting 1981’s ” intra-division playoffs “, the Dodgers would be swept in 3 straight by the NL Central Champion Cincinatti Reds. In their first season under the Fox group, Mike Piazza , after a lengthy contract dispute, would find himself traded to the Florida Marlins along with Todd Zeile for Gary Sheffield, Charles Johnson and Jim Eisenrich before landing with the Mets one week later. With a 36-38 record in June, Bill Russell would get his pink slip, as well as general manager Fred Claire. The thought of a Dodgers manager was unheard of at the time considering up until 1998 they had only 3 managers. Glenn Hoffman, brother of Padres relief phenom Trevor Hoffman, would finish out the season as the skipper. 1998 would also be the year that future Dodgers hitting coach Mark McGwire and Sammy Sosa we’re involved in the home run record chase, with McGwire finishing with 70 home runs. 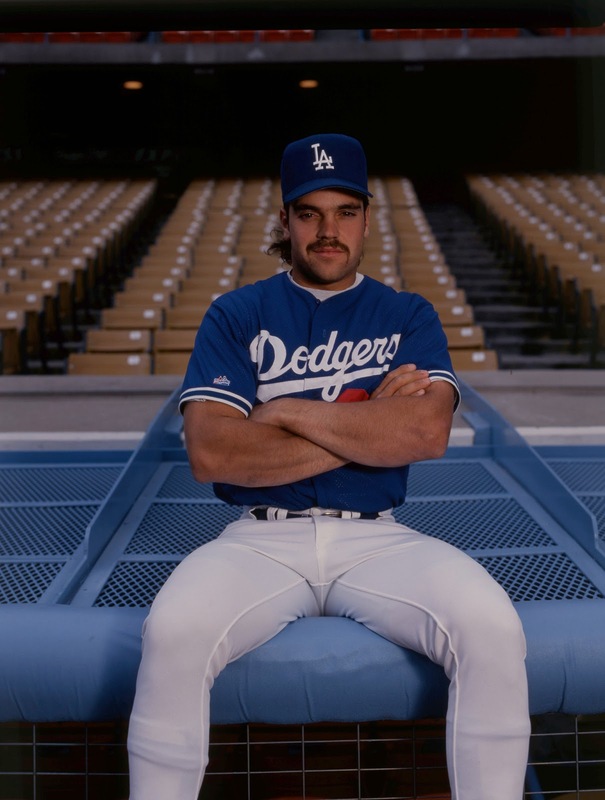 Though he did put up big numbers in Dodger Blue , Piazza will forever be remembered as a Met. To this day, I still don’t believe he has buried the hatchet towards the Dodgers and his fans. I wonder if he will blame me next for the Dodgers fans turning on him . Davey Johnson would take over as manager, and Kevin Brown, coming off 3 straight dominant season and two World Series appearances with the Marlins and Padres, would be signed to a 7-year $105 million contract just one year after Piazza had been offerred 6 years at $80 million, rasising some questions amongst the fans why the same deal could not be offered to Mike, an everyday player, as opposed to Brown, who only toes the hill every 5 games. The Dodgers would finish 24 games behind the 2nd year Arizona Diamondbacks. So the 90’s we’re not exactly some glorious times for L.A. sports fans. The Lakers, though they would continue to make it to the post season, making the playoffs in 9 of the 10 years, also failed to bring L.A. another championship . The Raiders and Rams would leave L.A. after the 1994 season ( I really didn’t care since i’m a 49ERS fan ) , the Clippers we’re a far cry from what they are today, and the Kings would appear in the Stanley Cup in 1993 to lose to the Montreal Canadiens in 5 games. So next, the new millenium. Glory day’s are bound to return to L.A, right ? Andrei here,Southern California Correspondent for Stadium Journey Magazine and StadiumJourney.com, along with the broham, Marlon B, aka Kid Marley Marlz. We like to call ourselves, KID N DREI…2 crazed Dodger fans bringing Da Beatz and Da Talez or sometimes, both. Kid with Da Beats on SoundCloud at MDario GlutenFreeSonds, and Drei with Da Talez. This is the travel blog for Malcolm MacMillan, founder of TheBallparkGuide.com. Visit the website for comprehensive guides to Major League Baseball and Minor League Baseball stadiums. Escape to a new place for new scenery, new ideas. Here are some suggestions to inspire your day away.